This one is more badge than pin, but it is sold in the pin store down at Disney Springs, so we'll call it a pin. But, I'll also call it something else: awesome. 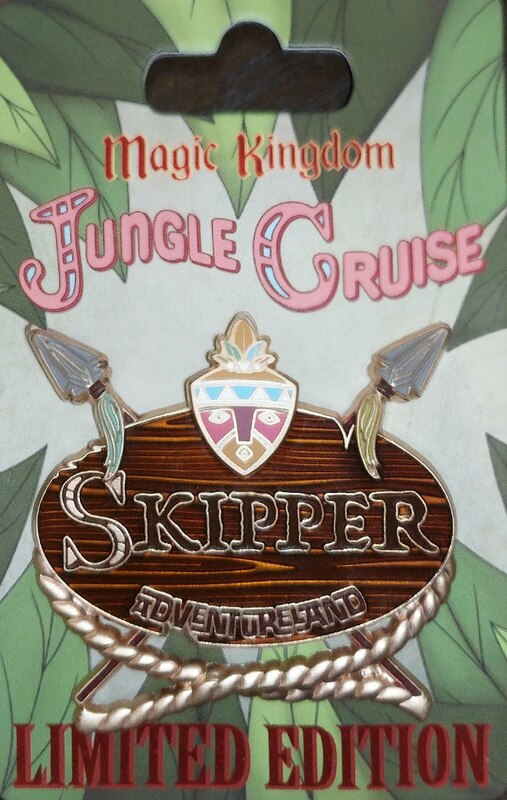 This Jungle Cruise Skipper is - as you can see - Limited Edition. It is pretty big and it has 2 backs on it, but that didn't stop the Babe from wearing it and getting a bunch of compliments on it.